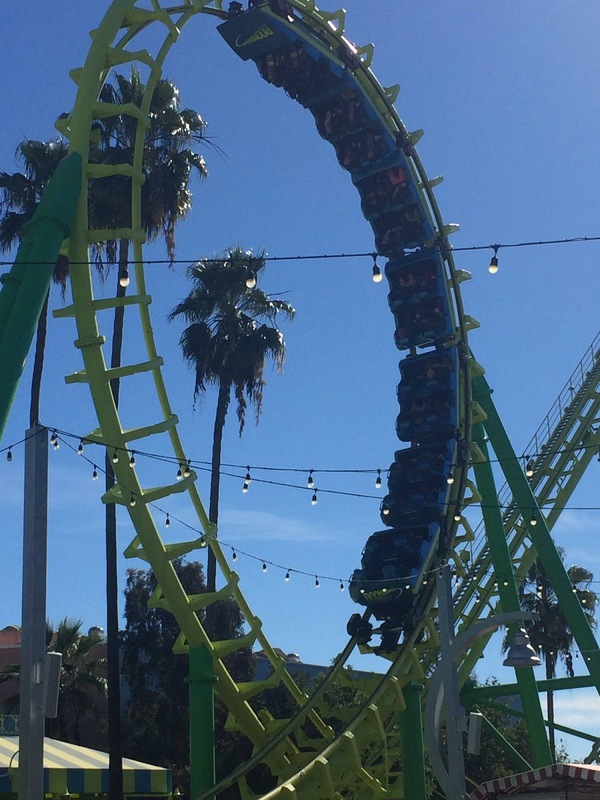 Knott's Berry Farm Gets Educational With our Girl Scouts! 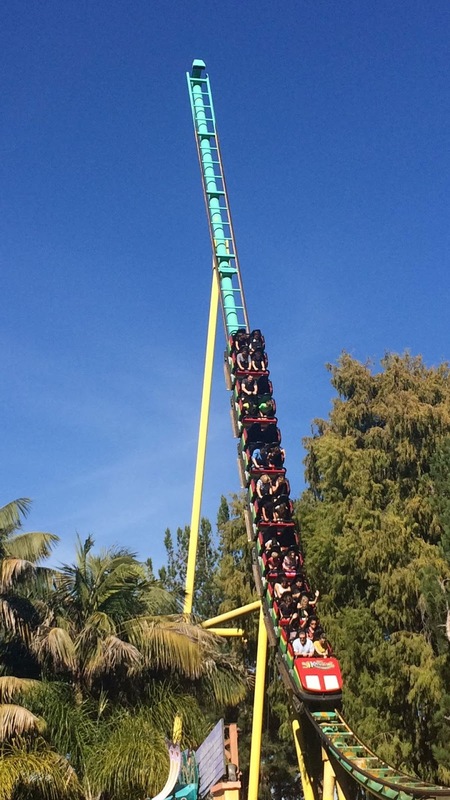 Girl Scout and Proud... but thrill seeker and proud too. 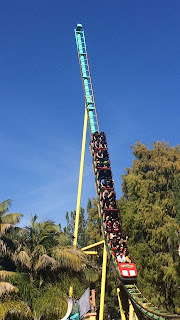 When my daughter heard that there was an opportunity for her Girl Scouts to attend an Energy in Motion trip to Knott'sBerry Farm and learn all about the in's and out's of the rides she loves to ride...she jumped on the opportunity. To say she loved the experience is an understatement!! That's how it's described from a 4th grader that is pretty harsh on education while ecstatic about everything else. Science and education made fun! 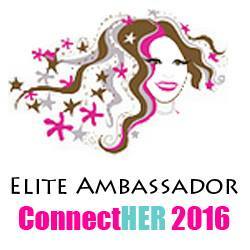 Well here are all the deets on the Girl Scout Patch and Experience that you too can reserve. I've also included some of the other options that can be reserved for any Scouts as well. 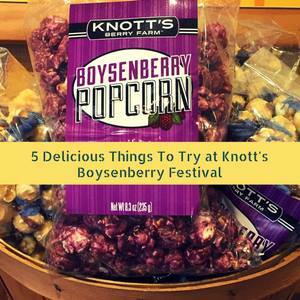 Scout Patch Scouts participating on the tours can purchase an exclusive, limited edition Knott's Scout patch for $3. 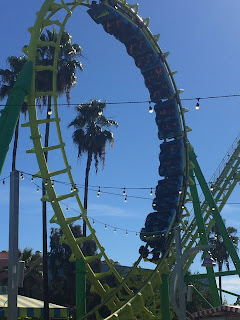 All of the Adventures In Education School Tours at Knott's Berry Farm, such as Geologist, Westward Movement, and EarlyAmerican Heritage are also available for Scouts to book. In addition to the other school tours, the Scout Transportation of the Past is reserved just for Scouts. 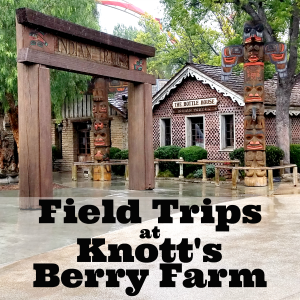 Knott’s Berry Farm’s Adventures In Education Tours are not meant to replace classroom lessons but rather to enhance school curriculum with specially designed programs that correlate to grade appropriate California State Standards and immerse students in the learning process. Through the use of hands-on activities, live demonstrations, genuine artifacts and encounters with historical re-enactors, students participate in interactive learning that impacts the way they process information and retain it. Both Students and Scout Group Members experience American History come to life during guided educational tours that include thrilling journeys to the period of the American Revolutionary War, Westward Movement, Early California, and discovery of Native American Culture. 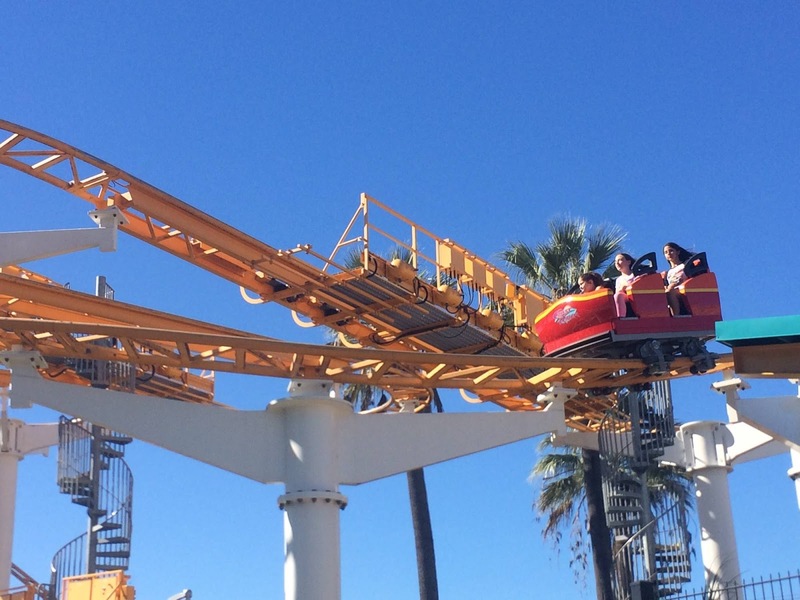 Geology and the Physics of the rides and rollercoasters are the focus of science-related tours. 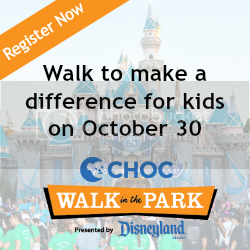 Combo Packages that include tours and park admission are also available. 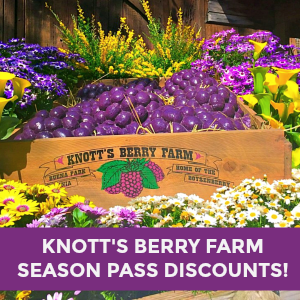 As parents of students growing up in Southern California, you may find they too get to take an educational field trip to one of the oldest berry farms in the region like so many of us did when we were younger! Here in SoCal we don't realize how lucky we are to have resources to learn about American History, Geology, Physics, and more at our finger tips! "Through Knott's Berry Farm's Student and Youth Programs, kids have the opportunity to participate in unique, hands-on learning experiences against the backdrop of one of the country's most visited theme park." 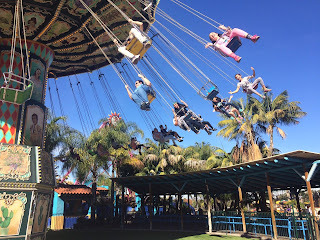 Said Caryn a Knott's Ambassador and Blog owner / writer at Rockin' Mama. I loved taking educational tours when I was younger! 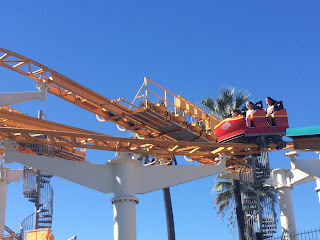 • Going behind the scenes of a ride and learning about how science and excitement go hand in hand to create thrill rides and rides of all kinds but keeping them safe through science. 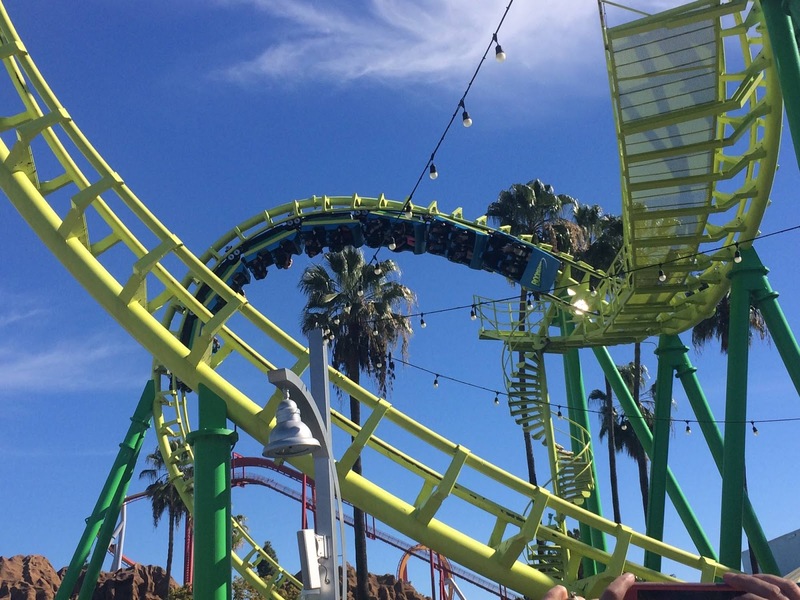 ** BONUS ** Each Tour participant gets a return ticket to come back on another day to have more fun at Knott's! Win Win! 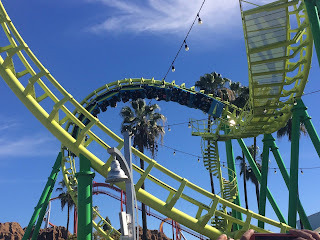 My daughter has gone to Knotts Berry Farm for two educational experiences and has loved them both! She has also loved the performers behind the scenes experience that she attended with Glee. 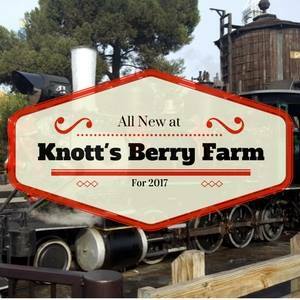 Hope you get to experience some of the EduFun at Knott's Berry Farm too! Enter to win Our Giveaway! 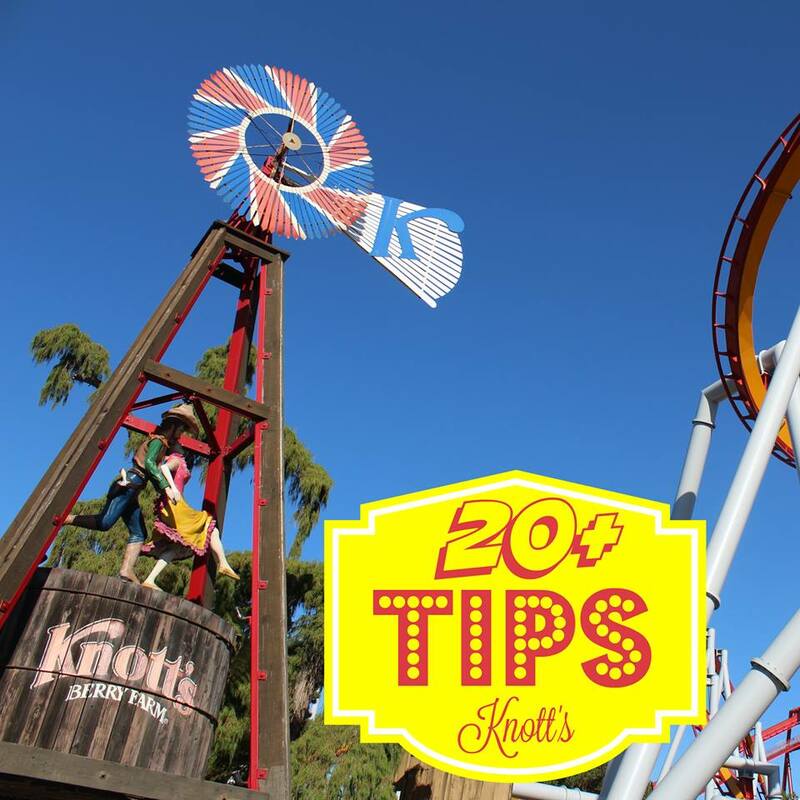 ....And for more tips and tricks at Knott's Berry Farm, visit these amazing bloggers who share favorite experiences of Knott's Berry Farm.